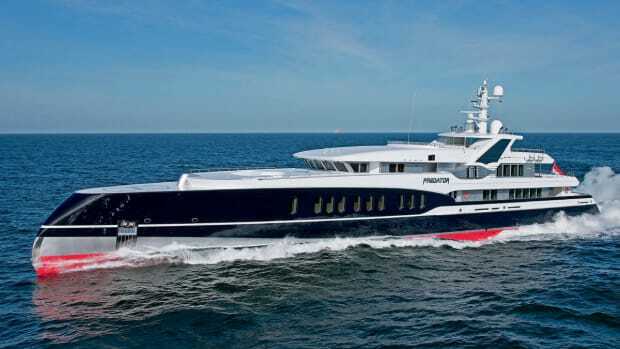 Predator’s radical reverse bow, engineered by De Voogt naval architects to slice through waves, has stimulated more discussion in the yachting industry than many contemporary yachts dubbed revolutionary and, for a time, inspired a number of concepts with a similar bow. The 239’ Predator spent several months cruising after leaving Holland last spring, allowing onlookers only a few glimpses of its surprising blue hull. 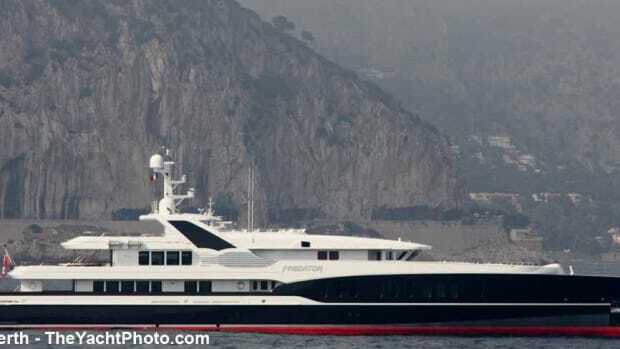 We caught up with the yacht at its winter base off the Spanish coast where an informative tour of this stunning vessel revealed beauty that is much more than skin deep.